We understand the many risks that business owners take on. We respect your entrepreneurship and desire to succeed. Our services help to manage some of the risks that businesses have, allowing you to sleep better at night (if you’re fortunate enough to do that kind of thing 😉 ). Simplx Security wants to save your business time and money. A great way to do that is by employing automation. Humans are pretty awesome. We can do lots of things. Those things don’t have to include the menial tasks of locking doors, flipping light switches, changing thermostat settings, etc. 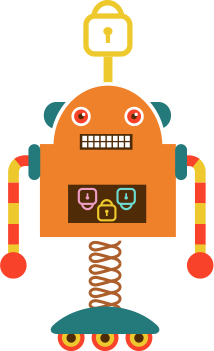 Let us take care of the boring stuff, while you focus on the exciting stuff – like getting home to your family a bit sooner than you would have without our security bots. Our smart locks make locking up and setting the alarm all part of the same process. That back storage access door will never be forgotten. “Don’t forget to turn off the lights when you lock up” – is something you’ll never have to say again. Keep your business private when business hours have passed. Set the temperature to a level that will save you on utility costs while no one is at your business. 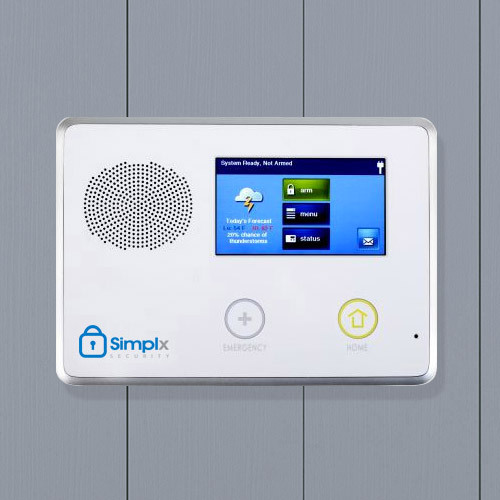 Our alarm systems make locking up at night a simple push of the button. We can setup a separate disarming code for each of your employees, making it easy to track and ensure integrity. Our notification alerts allow you to know when your alarm is disarmed, armed, tampered with, etc. Our silent alarm features keep your employees safe while notifying you and the authorities of a problem.